Sometimes a helping hand is never a bad thing when you are a busy Mum and so I am all for food brands giving us a little boost to make quick and easy delicious meals. 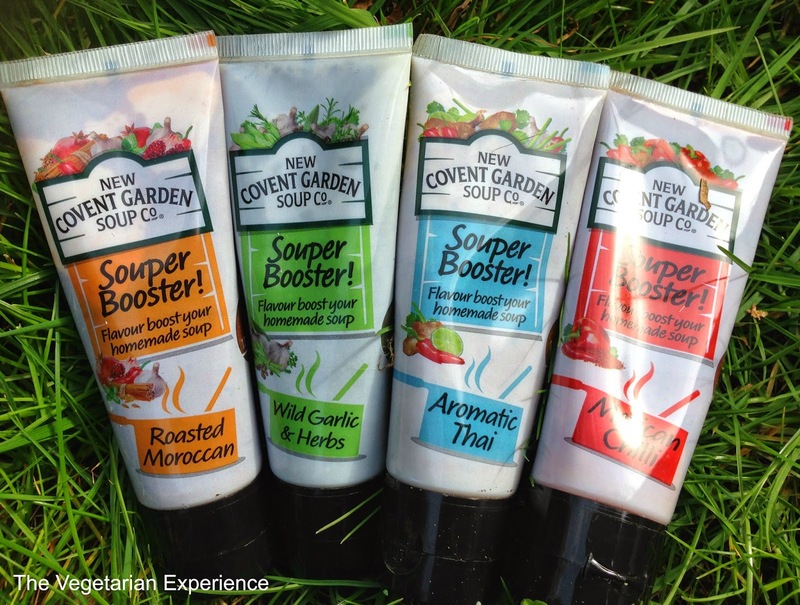 New Covent Garden approached me to sample their new "Souper Booster" range and to create a recipe for them with the Souper Booster blends and the wonderful array of vegetables they sent. Souper Boosters are a quick and easy way to add a fresh flavour boost to homemade soup. They are available in four blends including Mexican Chilli, Aromatic Thai, Wild Garlic & Herb and Roasted Moroccan. I very much enjoy making soup and often use up leftover vegetables in the fridge by throwing it all in a pan with a bit of stock, blending it and freezing until needed, so these products are right up my street. Soup can be a bit boring and flavourless and so I love the idea of introducing some interesting and varied flavours into the pan. The souper booster range of flavours all smelt and tasted absolutely fantastic. For us, the Mexican Chilli and Roasted Moroccan flavours stood out by a mile as we love Mexican and Moroccan food and so I decided to create dishes using both of those flavours. I created a Roasted Moroccan dish using red peppers, chickpeas, and butternut squash. The dish can be eaten as a stew/tagine, or you could blend it to make a soup. I also created a Mexican Chilli Soup using sweet potato, red and green peppers and red onion. The recipes are below for you to sample. 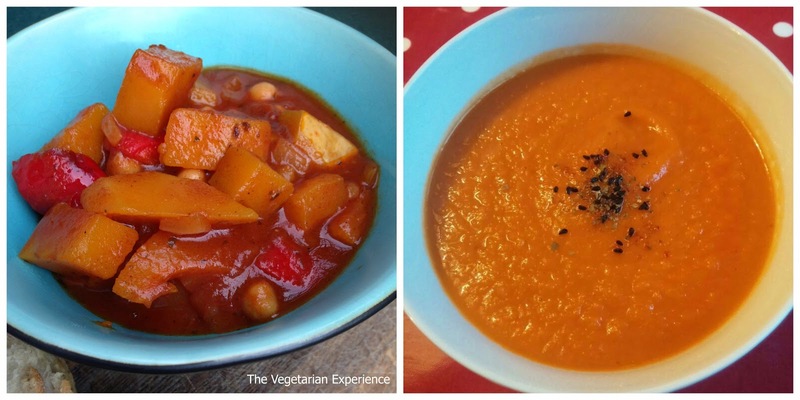 I would definitely recommend adding New Covent Garden Souper Boosters to your cupboard as they offer soup a pick-me-up and turn them into amazing flavoursome dishes. My hubby absolutely loved the Mexican Chilli Soup as the flavour has a bit of a kick to it. The Roasted Moroccan dish was a bit of a richer, warmer flavour and still equally as delicious. The kids also enjoyed the soups, so it's also a great way to get hidden veg into them! Roasted Moroccan Stew or Soup! 1. Preheat the oven to 200 degrees and cook the butternut squash cubes, covered in a little oil for around twenty minutes. 2. Saute the onions in olive oil until golden and add the red pepper and cook until the red pepper softens also. 3. Add the Butternut squash and Chickpeas and combine. Cook for a couple of minutes, stirring regularly. 4. Add the tinned tomatoes and half a tube of Moroccan Paste to the vegetables and combine well. 5. Cover the Vegetables with the hot water, and simmer for around fifteen minutes. For a stew, transfer to an oven proof dish and cook in the covered dish for around forty minutes at 200 degrees. 6. Once cooked, serve immediately. For soup, rather than transferring to the oven, cook on the hob in a covered saucepan for a further thirty minutes. Once cooked, allow to cool and then blend to make soup. 1. Saute the red and white onions in oil until softened. 2. Add the red and green pepper, carrots and sweet potato to the pan and cook for a further 10 minutes, stirring regularly. 3.Add the hot water, passata and half a tube of Mexican Chilli Souper Booster to the vegetables and combine well. 4. Bring to the boil and simmer for around twenty minutes5. Once cooked, allow to cool a little, blend in a food blender and serve. Interesting idea - I can see me making use of the aromatic Thai one (presuming that it's vegetarian?!? ).